Looking for an elegant and beautiful vehicle for your wedding car in Glasgow? 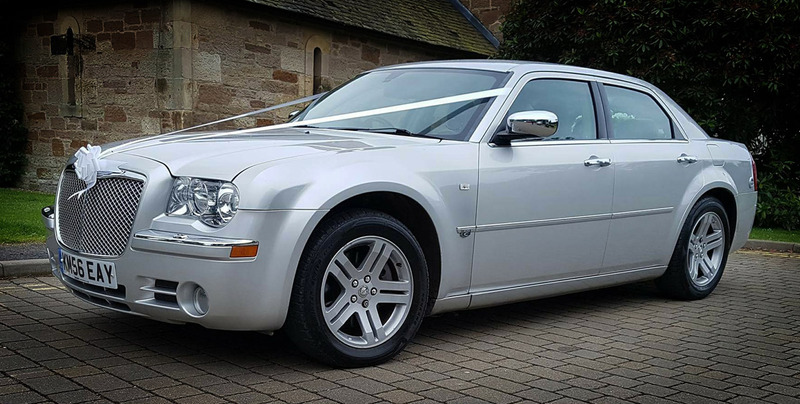 We give you the Chrysler 300 saloon wedding car! In the wedding arena, the car is fondly referred to as the ‘Baby Bentley’. You can attribute this to the similar appearance of the car to the Bentley Arnage. 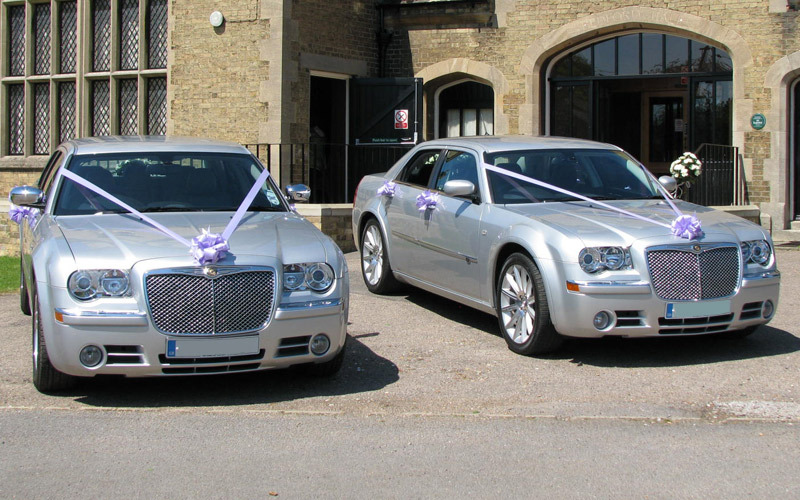 We paint our saloon wedding cars with silver paint. 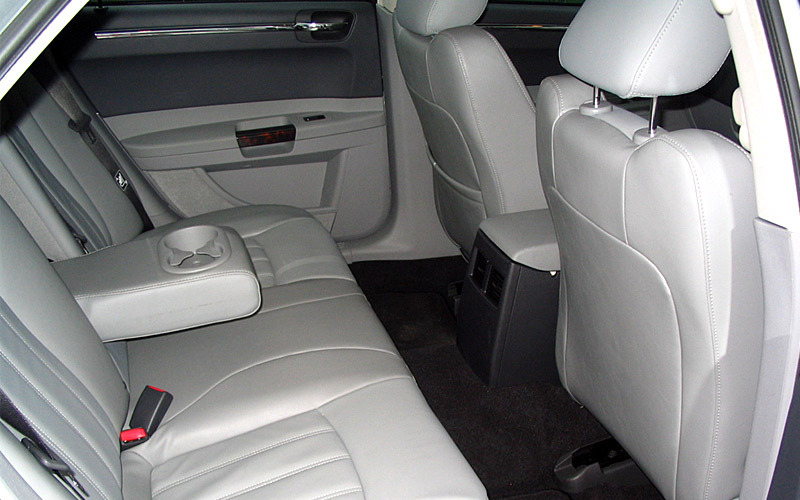 The leather interior complements the exterior paintwork, with a light grey tone. 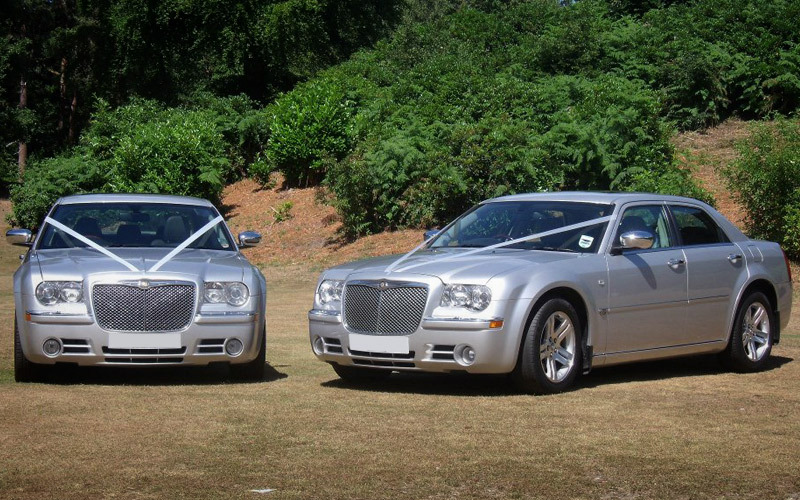 The Chrysler 300s is the perfect ride for weddings. 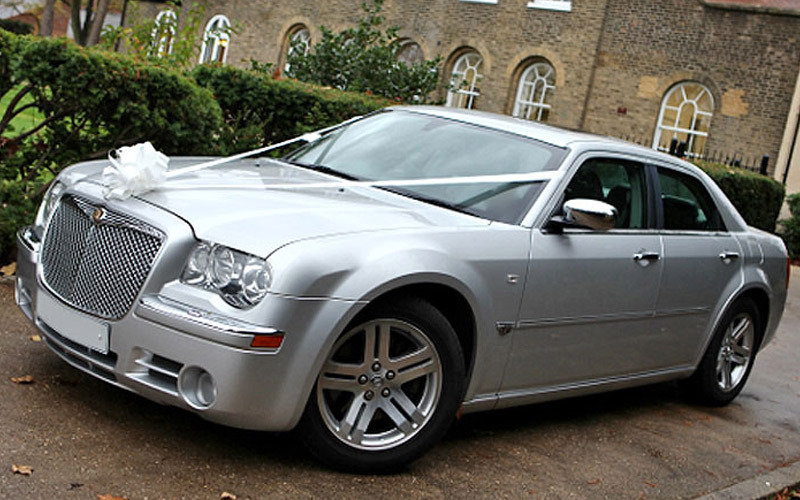 Make your special day even more special with our chauffeur driven Baby Bentley. 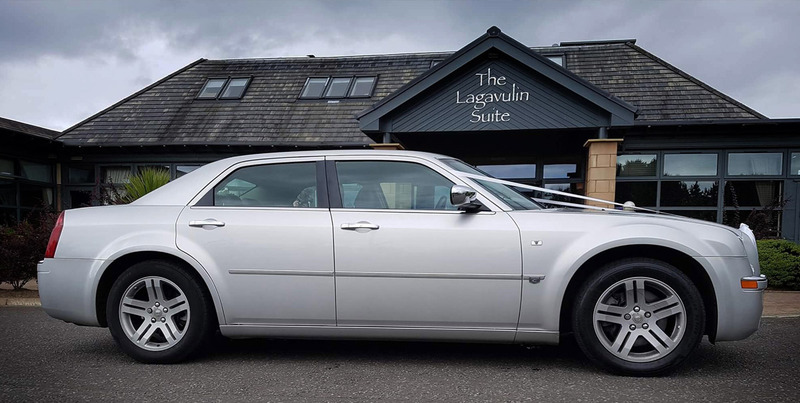 At Glasgow Wedding Cars, we take care of the entire process, from the time you get in touch with us, till the car reaches the venue of your wedding. If one is not enough, why not opt for two! We can offer you two matching cars of this model in Glasgow, one each for the groom and the bride. Available at unbeatable prices, call us and get a quote! At Glasgow Wedding Cars, we are proud to offer a selection of amazing, luxury wedding cars. We cater to the residents of Glasgow, Paisley, and the surrounding areas.. With Glasgow Wedding Cars, you can get those extra touches. For instance, we can adorn the rear window with decorative flowers, complete with bows and ribbons, at no additional cost. Get in touch with us and let us know what your wedding theme will be and we will get to work on the perfect finish for the Baby Bentley.